SHINE WELL MACHINERY CO., LTD. was established in 1980. We specialize in innovating the technology of injection molding machines. We rely on our years of experience in the plastic molding field, and our teams are well trained in R&D, quality control, assembling, test-running, sales, and customer service. We can offer more value to the plastics field with our high-performance, injection molding machinery. We are proud of our professional colleagues on the several divisions who properly integrate themselves to present the highest working efficiency, the best design, and the quality of the injection molders from SHINE WELL. Likewise, our overseas clients are completely satisfied with the after-sales service. It is due to our long-term, local, and reliable agents and engineering teams are located abroad. Customer service is just in time no matter where our clients may be located around the world. To be recognized as global leading maker in injection molding machines. To create a reliable, high-end quality and satisfying brand image for SW users. To innovate the processes of manufacturing and products as a principle of industry 4.0. As a partner in progress in the injection molding industry, SHINE WELL plays the role of assisting customers to innovate the injection molding technology by offering state-of-the-art facilities and machinery; consequently, our customers create high value-added, plastic products. The machine performance is a top characteristic that describes a product's quality with no doubt. 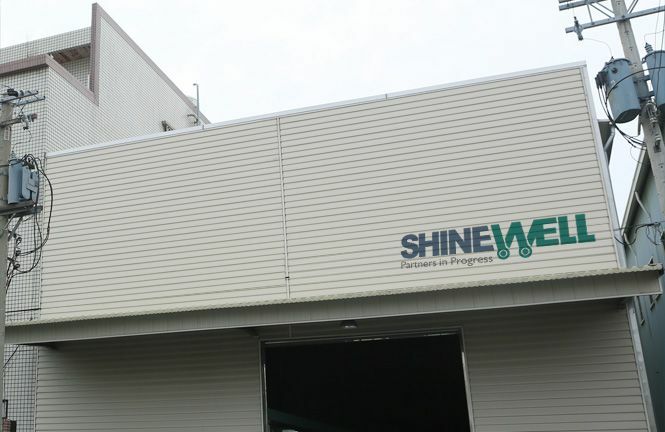 SHINE WELL always concentrates on upgrading the machine's performance by launching higher standards in mechanical designs and by introducing new technologies to the injection molding field to help our customers take an advantageous position in the market. Besides quality, customer service is another factor where clients need certainty. With a trustful worldwide service network, we can assure our clients in different countries will receive the necessary support from our local partners. From the initial stage of product inquiry to the final stage of site commissioning and training, you can rely on us. Human resources determine the development of a company. SHINE WELL has a reliable staff with good education and working capacities, and we focus on providing a better working environment and benefits for them, to be healthy and happy. 1980 - 1990 Development of the First Brand Logo for the Company, AT Series Product. 1991 - 2005 Introduction of the New SW-B Series Product. 2006 - 2015 Development of our Brand Image for International Markets.